The 2GIG Go!Control alarm system is outfitted with a 345 MHz receiver from the factory. The 2GIG DREC2 is a dual receiver that accepts both 319MHz and 345MHz RF signals from security sensors. Most GE (General Electric) wireless security sensors transmit at 319MHz frequency. 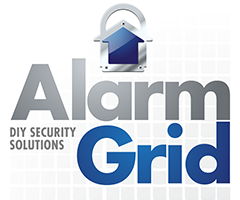 Essentially this product allows your 2GIG security system to integrate GE security sensors. Since the 2GIG security sensor landscape is a bit limited in styles and function, this dual receiver allows end users to combine the technological advantages of the 2GIG Go!Control alarm system and have access to GE's versatile line of RF sensors! Keep in mind, the Go!Control panel can only support one add-on receiver. If you are using or plan to use the 2GIG XCVR2-345 transceiver, then you cannot use the DREC2-319. The XCVR2-345 is required for integrating any of the following: Go!Bridge IP communicator, TS-1 wireless touchscreen keypad, and/or the IMAGE1 Image Sensor. If your system requires the XCVR2 and you are trying to use GE wireless sensors, you can source an RF translator from Resolution Products.